Dear Dr. Gabriel Levi, I would like to take this time to say thank you for being such a caring physician, surgeon and human being. I originally started coming to Orthopaedic Rehabilitation centers when I fell and broke my right hand in the winter of 2013. I was taken to St. Mary’s Hospital emergency and you were the doctor on call at the time. Your father, Dr. Roberto Levi, performed reconstructive surgery on my hand. I have been using it with no problems or pain. He did a great job! I asked you about my knees on one of my follow up visits from my hand surgery. Who would have known I would become a longtime patient? I never felt like you ever rushed a visit or that you didn’t have time for my questions. You have always treated me with respect and made me feel like I was important. Over the years, you worked with me trying different medications, shots, and even stem cells before concluding that total knee replacement surgery would need to be done. You knew that I wanted surgery to be my last option. I never felt pressured by you to do the surgery and I always felt like you treated me with the utmost care like a family member. You knew my apprehension and even asked one of your other patience to contact me on her surgery. Being over weight was a big factor in my decision in putting surgery as my last option. It was nice to speak to someone about her surgery who was in the same condition as I was. On January 18,2018, you operated on my left knee and performed a Total Knee Replacement at St. Francis Hospital. I have to say that all the staff at St. Francis Hospital that took care of me were top notch! Each and every person from nursing assistants, nurses, doctors, rehab instructors, and primarily you made my surgery experience comfortable and confident in the care I was receiving as a patient. Upon my release from the hospital, I started immediately going to rehab at your facility located at 5616 N Western Avenue. Your staff from checking me in with Edgar or Teresa (she greets me with the warm heating towels for my knees), Yaffa, Giovanni, and Lou to name a few of the rehab instructors, they are really warm, caring, and wonderful people. They really care about my progress. When I check in for my follow up visits with you Violet, Mariam, and others have always made my follow up visits painless and enjoyable. I have to say that your entire staff and office are filled with great warm wonderful employees. They all deserve a note of appreciation from me. I enjoyed it so much at the beginning of the year that I felt confident in setting up another surgery for a total knee replacement on my right knee. My surgery was on September 27,2018 and I have to say that it went well and I am currently scheduled for rehab sessions at your office on 5616 N Western Avenue. I am grateful and thankful for your staff as they work with me for complete recovery. Thank you from the bottom of my heart for not being a cookie cutter doctor, but one who is truly humble and caring about his patience. I see that you hire employees with that same type of quality. I feel like family when I come to your office. Don’t every change! I have been a patient of Dr G. Levi's for over 3 years. He has helped me with my knees (non-surgical knee injections-I highly recommend them) and currently with my hip pain. He and I discussed all the options and scheduled tests to determine exactly the cause of my pain. After several tests, Dr G. Levi determined that I had a labrum tear in my left hip and he advised me that surgery was going to be the best resolve. Dr G. Levi's surgical scheduling assistant Karina sat down with me and scheduled my hip surgery at NORTH SHORE SURGICAL CENTER. She went over all the pre-operative and post-operative paperwork and what pre-clearance examinations that needed to be done prior to the surgery, insurance information, as well as the need to start physical therapy the next day following the surgery. She was fantastic, friendly and available to answer any questions that I had. Dr G. Levi has a new surgical facility at the Illinois-Wisconsin border (NORTH SHORE SURGICAL CENTER). My sister and I drove to the facility and we were met with the nicest, most professional staff! The staff was very welcoming and friendly. Shortly after our arrival, I was taken to the pre-surgical area, met my nurse and soon thereafter met the anesthesiologist. Every medical professional introduced themselves and explained everything that they would be doing throughout the procedure. My procedure took a couple of hours and when I woke up I was not in much pain at all. My sister and I were very impressed with the facility and staff as well. My sister said that while she waited, she was very comfortable watching television and playing on her iPad and the staff offered her refreshments as well. Dr Gabriel and his staff work very hard to make certain that they met and exceeded my expectations; and that they do! The surgical facility may seem far to some; however, the ride is well worth it. It really beats the hustle and bustle of very large hospitals. If I had to do it all again, I would not change anything! My sincerest appreciation and thank you to Dr Gabriel Levi, office & surgical staff! I would like to say thanks to Dr G. Levi and the entire staff. Thank you for doing an awesome job on my knee surgery. My overall experience was excellent. I'm finally pain-free and making really great progress. Once again thank you. Out of the three orthopedic surgeons I screened while searching for a doctor to replace my hip last year, Dr Gabriel Levi truly stood out as the best option. I interviewed surgeons from Lutheran General Hospital as well as Lake Forest Hospital, and neither compared to the professionalism, compassion, and knowledge that Dr Levi provided. He was able to thoroughly answer all my questions including open ended inquiries. Never once did he brush off a question or want to push me to talk to the financial office instead. Because of this, I knew Dr Gabriel Levi was the perfect doctor to replace my right hip! He replaced my hip in February 2016, and I was able to dance at my son wedding in September 2016! With high confidence, I recommend Dr Gabriel Levi to family and friends. Hi. I would like to give a review for Dr Gabriel Levi . He gave me a total knee replacement 2014. It's 2017 and my knee feels great!! And I want to call him the Knee God. He did an amazing job with the replacement. My mobility before replacement was 30 percent. Bone on bone spurs growing. I could go on and on about the pain. Knee was painful. Waking me up out of my sleep. Once Dr. Levi replaced it. My mobility increase like 100 percent. No more limping. Have not had any problems. NO MORE PAIN. The replacement was a success. Great Doctor. Thank you more than I can say by giving me my mobility back. I would like to let you know how happy I am to have Dr Gabriel Levi taking care of me. I think he is wonderful. There habilitation center is really great also. The people are friendly and they do a great job. Anyone I know that might need a good Dr. I would be happy to give them the phone number let them know how happy they will be. Like many people, I was apprehensive about seeing a new specialist who would perform hip replacement surgery. Before my appointment, I visited the Orthopaedic Rehabilitation Centers' website. 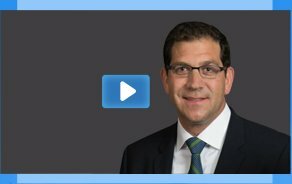 There I found a video of Dr Gabriel Levi explaining his approach to all types of orthopaedic surgery. What I viewed was a physician truly dedicated to not only his profession, but also, more importantly, to his patient's trust and comfort. It was extremely helpful to see and hear Dr Gabriel before that first appointment. After four months and a number of visits where I've also had the opportunity to speak with him, I cannot say enough good about Dr Gabriel Leviand the entire team at ORC, of which his own father,Dr Roberto Levi, is both founder and director. I marveled at the impressive office, which includes on-site x-ray and what seems like every machine made for physical therapy. In addition, there is an atmosphere of totally serving the needs of every type of patient. And my hip replacement? Totally successful! After experiencing 24/7 pain which worsened as the years went by-no more of that! An added plus is a series of injections of hyaluronic acid to relieve the knee pain of osteoarthritis. At 71 years, I've begun to feel closer to 50! Thank you and your team so very much, Dr Gabriel , for giving me back a life without that particular debilitating pain. As an athlete, I have been a patient at ORC for the last 5 years. I have been treated for multiple issues related to my shoulder and back and have referred friends that have had surgeries for extensive injuries and ORC staff and Dr Gaby Levi are unparalleled. Most surgeons want to don't surgery right away. Here, the doctors are looking at your lifestyle and health and the big picture. They care about YOU and have the most insightful, advanced thought process, treatments, options and take the time to make sure you understand your medical options. There is a personal touch that isn't common anymore. I have trusted them over and over and they amaze me with their medical skills. I truly don't know what I would do without ORC. I have been to many doctors and here you will get the BEST of the BEST in every way. Dr Gabriel Levi and his father are great doctors! They help me tremendously. They have alleviated my knee pain to the point where I can walk, ride a bike, and run again without any pain! I will always appreciate Dr G Levi and Dr R Levi very much, and would recommend anyone who is having knee problems. They are true miracle workers! I want to thank you for doing my left hip replacement surgery and plastic surgery on my hip incision. I really appreciate you genuinely listening and answering all my questions with patience. You have a professional, very caring, kind demeanor. My new hip is doing excellent. I can walk normal now without pain, no more limping. Your prescription for physical therapy before surgery helped me recover faster after surgery. It is true to say that "your excellence can only be eclipsed by your kindness ". Wishing you the very best for the future. I had a severe Tibia/Fibula break in May 2011 and came upon Dr Gabriel Levi by "accident" as he was the on-call orthopedic trauma surgeon at Illinois Masonic upon my arrival. While awaiting the ambulance I was convinced I would never walk again as my leg appeared to be bent at a 90-degree angle where there should have been no bend! Dr Levi inserted an intramedullary rod and two days later I was able to weight bear. 6 months later I was able to start running again. I had a Left Total Knee Replacement on May 2011. I am very pleased with how the operation went and on my recovery. I put my trust in Dr Gabriel Levi and my results were excellent. Now I am completely recovered and I am happy with all the care and attention I received here. I congratulate Dr Gabriel Levi for being great at what he does and I thank him for helping me. Hi, my name is Ruth and I want to tell you that for many year's I suffered because my right knee was painful! and swollen, and I thank God that he gave knowledge to Dr Gabriel Levi , whom gave me a knee replacement, I don't have any pain now and any pain after my surgery. This happened May last year. Now in January, my daughter had surgery with him and she does not have any pain. I wrote to testify if somebody suffers from knee pain, make the decision to have surgery to stop the pain, that I know sometimes, cannot bend the knee because they are very swollen. I recommend Dr Gabriel Levi, who is in the Chicago area. I am 63 years old and on September of 2011 I had surgery on my right shoulder. I was referred by my primary doctor to Dr Gabriel Levi who performed my surgery. Before the surgery, I was in a lot of pain. I was having trouble lifting my right arm and at time the pain was so strong that I was having trouble sleeping. Since I had the surgery along with the physical therapy that I am receiving, I'm starting to feel 100% better. It's been almost 3 months since I had my surgery and I feel great. I would like to thank Dr Gabriel Levi for being a great Orthopaedic surgeon, I 100% recommend him. He's very caring he took the time to introduce me to the entire surgical team before my surgery and after the surgery when I was home he personally called me to see how I was feeling and to make sure I was comfortable pain wise. He always made sure that I was not suffering from too much pain. Dr. Levi, Thank you so much for your advice and the kindness that you continue to give me as your patient. My name is Antonio S - I am 71 years-old and I want to share with you my experience of my surgery. It has been three months since my surgery of my hip by Dr Gabriel Steven Levi. I put myself and trust in God hands an the Doctor. The results are wonderful, when I woke up from the anesthesia I asked the Doctor if he did the surgery because I was not in any kind of pain, just discomfort from the anesthesia. My recovery was totally amazing. After three months, I am involved in my normal activities and actually am in no discomfort. The reason for this letter is to thank Dr Gabriel S. Levi for the magnificent job he did. I personally recommend surgery to all people that need Orthopedic Surgery. I will recommend them to go to the clinic of Dr Levi, located at 5616 N. Western Ave. and the phone no 773-878-6233. Thank you Dr Gabriel S. Levi for your professionalism and for your human kindness, and thanks to all the personnel that work - there, they are very kind and all bilingual. Gabriel is one of the four angels that guard a person in time of need. And you, my very dear Doctor, justify the name to perfection! I consider myself very fortunate that you entered into my life at the age of 83 - and became my own special angel, and my whole family feels likewise. I wanted to express my appreciation for the services provided to me by your office as well as by you, especially, towards the pain I suffered on my left knee. You recommended a Total Knee Replacement after many years of discomfort, fear, and pain. After being referred to you and discussing my condition I had the surgery this past December 27, 2010. Dr Levi , I cannot put into words the relief the surgery and the subsequent therapy has done for me. For the first time in several years my left knee is now pain free and your therapy department is very pleased with the progress I am making. I am also very pleased with how the department has worked along with me to keep me in good form throughout the rehabilitation process. Because of your confidence of my being able to recover and successfully go through with the surgery I found the courage to take your consultation to heart and place my hands in your care. I hope I have shown how well what you predicted has come true. Thank you so much for your skills, your bedside manner and the good graces of your office, its staff and your therapy department. I am feeling so much better and cannot thank you further enough.